As we previously reported through inside information that Peyton Manning was going to be retiring for sure, it has now become official, leaving behind an NFL career that only dreams are made of. Peyton shocked the world with his tear filled retirement speech labeled as one of the best retirement speeches ever given by several sources in the media. 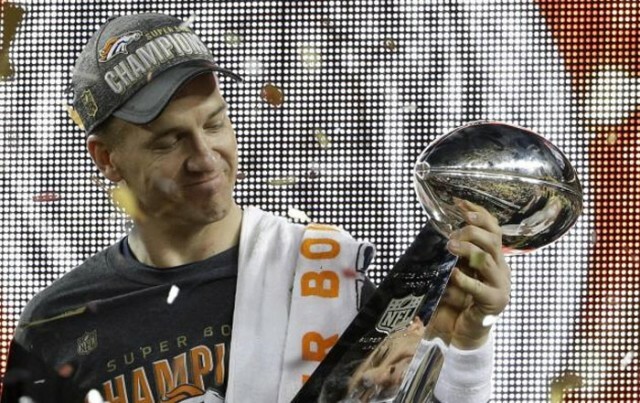 Manning’s retirement comes on the heels of the quarterback leading the Denver Broncos to a win in Super Bowl 50 championship against Cam Newton and the Panthers. It was Manning’s fourth Super Bowl appearance and his second victory. Manning won his first Super Bowl ring in 2007 with the Indiana Colts and stud wide receiver Marvin Harrison. Manning also took home the MVP award for his tremendous passing in the 2007 match, which included a 53-yard touchdown pass in the first quarter. Peyton and Marvin were feared by all defensive backs and loved by fantasy owners around the world. Manning is also basically a lock for the Hall of Fame as one of the most productive quarterbacks of all time with records including throwing the most touchdown passes and the most passing yards. During Manning’s very emotional retirement speech he recalls several moments from his NFL career starting all the way back in high school. He talked about how appreciative he was for his teammates and coaches, as well as his opponents. Manning also recalled all he would “miss” being away from the game including peers and coaches. He ended his speech by saying, “God bless all of you, and God bless football. Next articleRob Zombie & Korn Release 2016 Summer North American Metal Tour Dates & Venues!